All Our Cabins & Rooms are ON the WATER! We own all of our Cabins. 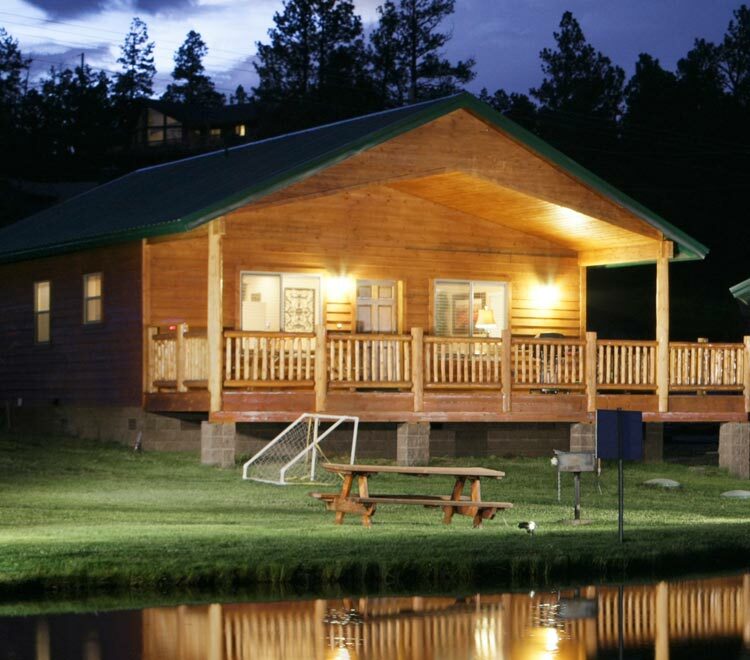 Ask us about our dog-friendly accommodations, additional charge $20pdpn (Cabins: 80, 81, 82, 83, 251, 253). Cabins that Sleep 4, 6, 8 and 12. 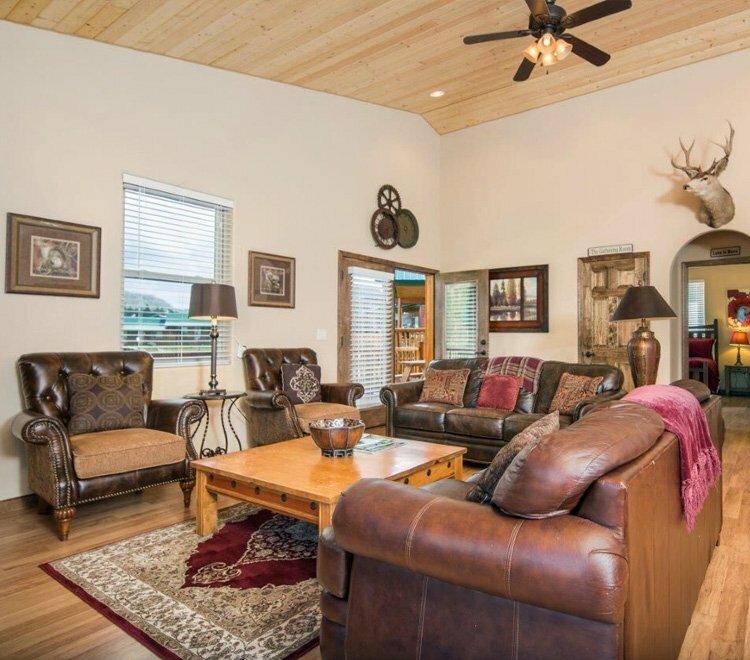 All are On the River or Private Trout Pond, centrally located on Historic Main Street in the “Village” of Greer close or adjacent to the National Forest. Call for Reservations: 1(928) 225-7620 or 1(928)735-2304, 7 days a week from 9am-5pm. 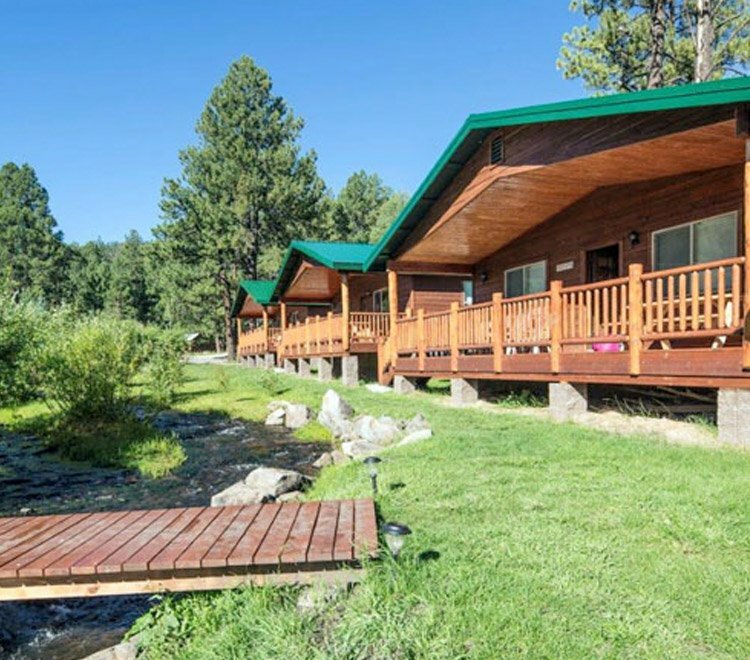 Most Cabins on the River! 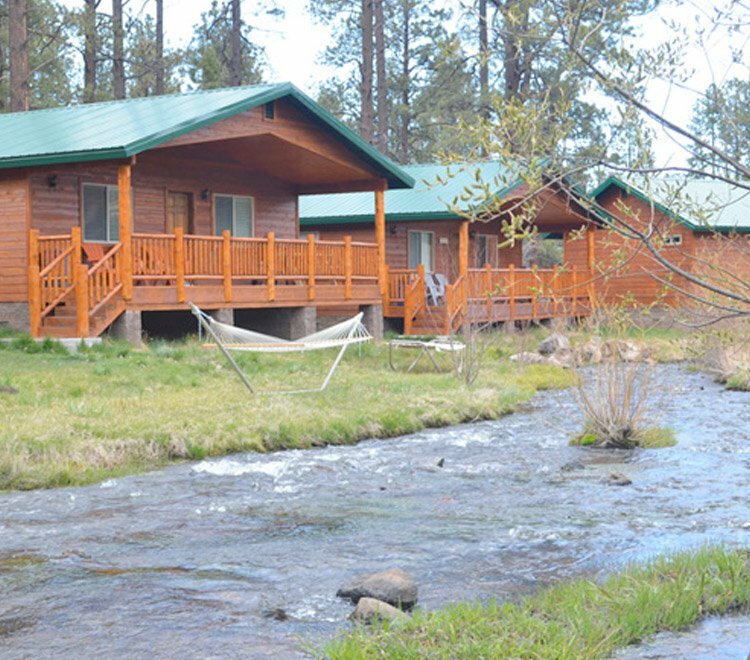 Most Cabins are on the River! All Cabins are on the Water!